Many organizations are using the ITIL framework in their day to day operations. Often, the processes are implemented but they rarely offer the value that was expected. The COBIT 5 framework has evolved from a practice used by auditors to a framework that is focused on governance and management of IT with many uses across the enterprise. 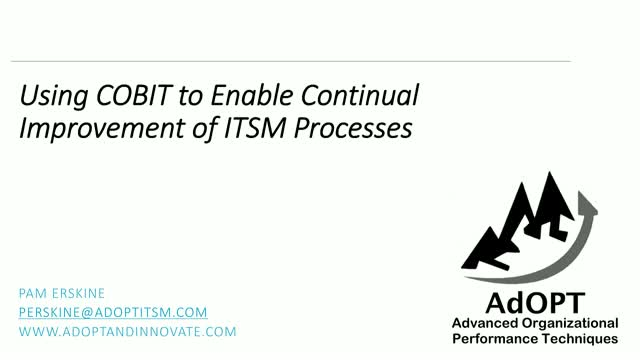 In this presentation, we’ll look at how key areas of the COBIT framework can enable the continuous improvement of the ITSM processes that really matter to IT and the business. We’ll also look at real world examples of how the framework is applied to create a repeatable approach for understanding process capability and enabling continual improvement of ITSM processes.